Our standard terms and conditions regarding optimization are details below. By placing an order with SEOPhalanx, you confirm that you are in agreement with and bound by the terms and conditions below. SEOPhalanx will carry out work only where an agreement is provided either by email, telephone, mail or fax. SEOPhalanx will carry out work only for clients who are 18 years of age or above. An 'order' is deemed to be a written or verbal contract between SEO Phalanx and the client; this includes telephone and email agreements. The client has not requested or exchanged links with link farms or undertaken any spamming techniques which may harm the web site's ranking with Google. It is not possible to give a 100% assurance for any specific result on any search engine, nor can we quantify the level of increased traffic or sales, as a result of the SEO campaign. If the client makes any changes to the optimized pages created by SEO Phalanx, or does not implement the changes advised by us, we will not be accountable for any adverse results thereafter. The Client agrees that their website is not hosted on free webspace using domain forwarding (either framed or otherwise). In cases where there is either concern that the current hosting IP address may be part of a 'bad neighbourhood' or for reasons of optimization, SEOPhalanx may request the client to change hosting provider. A deposit is required from any new client before any work is carried out. As most of our SEO plans are on monthly basis the required deposit may be of one month's advance payment according to the plan taken. To continue the SEO work the client has to pay every month on the due date, invoice will be generated and sent to the respective clients on or before the payment due date. If accounts are not settled or SEOPhalanx have not been contacted regarding the delay, service to the related website may be stopped. Following consistent nonpayment of an invoice, our legal officer will contact the client in question, with a view to taking the matter further and if need be to seek payment through legal procedures, and if necessary court summons. All services rendered by SEOPhalanx are non-refundable. This includes, but is not limited to: setup fees, one time fees, and monthly service fees, upgrade fees, additional service fees, administrative fees, and late fees. All fees are non-refundable, without exception, unless authorized by an officer of SEOPhalanx. If a chargeback is processed without authorization from an officer of SEOPhalanx a collection agency will be employed to collect the fees and the customer will be responsible to pay the original fees and any fees required by the collection agency. SEOPhalanx shall not be responsible for URLs dropped or excluded by a search engine for any reason. SEOPhalanx shall not be responsible for delays or failure of performance resulting from Internet Service Provider delivery problems or failure, or any communication or delivery problems associated with Client's receipt of the Account Service data. SEOPhalanx shall not be responsible for acts or causes beyond their control, including but not limited to: acts of God, strikes, lockouts, communications line or equipment failures, power failures, earthquakes, or other disasters. SEOPhalanx do not represent or warrant that Customers' URLs will achieve a favorable position, or any position, within a particular search engine. SEOPhalanx do not warrant or represent that the use or the results of the use of the materials available through the SEOPhalanx Services or from third parties will be correct, accurate, timely, reliable or otherwise. You expressly agree that use of the SEOPhalanx Services provided hereunder is at your sole risk. These Services are provided on an "as is" and "as available" basis. SEOPhalanx expressly disclaim all warranties of any kind, express or implied, including without limitation any warranty of merchantability, fitness for a particular purpose or non-infringement. Notwithstanding the security precautions taken against disclosure of information, there are certain conditions that exist on the Internet generally which are outside SEOPhalanx control and could result in a breach of security. Accordingly, SEOPhalanx cannot assure you that Your Account Service data information will be free from corruption or piracy. You hereby expressly waive any claim against SEO Phalanx arising out of the loss of data through corruption, piracy, breach of security or for any other reason that is not based on intentional or grossly negligent actions of SEOPhalanx. To the maximum extent allowed by law, SEOPhalanx and any of their parents, members, subsidiaries, affiliates, service providers, licensors, officers, directors or employees shall not be liable for any direct, indirect, special, incidental or consequential damages (no matter how they arose, including negligence), or for interrupted communications, lost data or lost profits, arising out of or in connection with the Services provided hereunder. Further, SEOPhalanx will not have any liability for any losses arising because the SEOPhalanx Services are not operational or accessible. This section does not limit liability for bodily injury of a person. SEOPhalanx reserves the right to change these terms and conditions at any time. SEOPhalanx may change the terms and conditions by placing an updated copy of the terms and conditions on the SEOPhalanx website. When SEOPhalanx places an updated copy of the terms and conditions on the SEOPhalanx website they shall be deemed issued and received by the client. The client accepts that it is reasonable for the client to accept full responsibility for the periodic checking of the SEOPhalanx website for the presence of alterations to the terms and conditions. 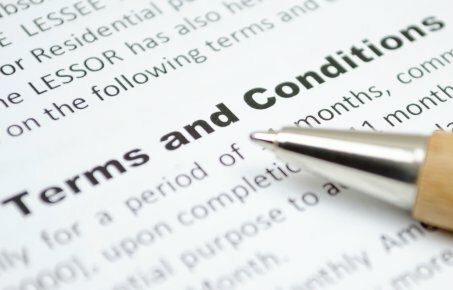 Should the terms and conditions be altered, the client shall be deemed to have accepted them after a period of two weeks (subsequently to be referred to as the "reasonable notification period") has passed following the updated Terms and Conditions being placed on the SEOPhalanx website by SEOPhalanx. It is the client's responsibility to contact SEOPhalanx within the reasonable notification period should the client have any uncertainty as to the meaning of any part or the whole of the revised terms and conditions. NOTE: YOUR SIGNATURE ON A PRINTED COPY OF THIS AGREEMENT IS NOT REQUIRED. YOUR USE OF OUR SEO SERVICES SHALL CONSTITUTE A VIRTUAL SIGNATURE, HAVING THE SAME FORCE AND EFFECT AS IF YOU HAD ACTUALLY SIGNED A PRINTED COPY OF THIS.